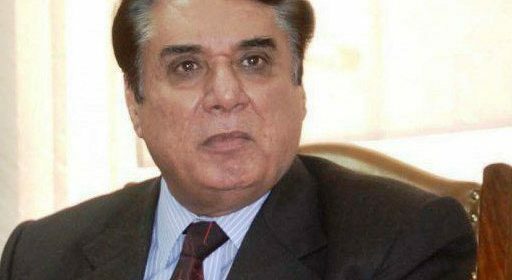 ISLAMABAD: The National Accountability Bureau (NAB) Chairman Justice (r) Javed Iqbal, while terming corruption as a curse, said Monday that the bureau is ready to come up to the expectations of the nation to eradicate this menace from the country once and for all. NAB chairman said that the bureau had perfected its procedures and its officers/officials were working towards the complete eradication of corruption as a national duty. He said that Pakistan and China have inked a memorandum of understanding (MoU) for the eradication of corruption from both the countries. Both the countries were jointly working towards ensuring transparency in China-Pakistan Economic Corridor (CPEC) project, he added. Further, Iqbal said that NAB had recovered Rs 288 billion which was a record achievement of any anti-corruption organisation working in Pakistan. NAB’s conviction ratio was about 76 per cent, he added. “We have also adopted a policy to arrest proclaimed offenders and absconders to bring them to justice. Within three months, we have apprehended 15 proclaimed offenders,” he informed. He said that NAB had ordered for filing early hearing of 1,138 undertrial references in the respective accountability courts so that approximately Rs 900 billion could be recovered from corrupt persons and punish them in accordance with the law. He further said that on the basis of the annual evaluation reports, officers/officials of NAB headquarters and all regional bureaus would be informed about their strengths and weaknesses. They were also being directed to overcome their shortcomings to improve the existing system to maintain a check and balance system.